In February 2007 federal agents raided compounding pharmacies in Orlando and Mobile and arrested the owners/ pharmacists. 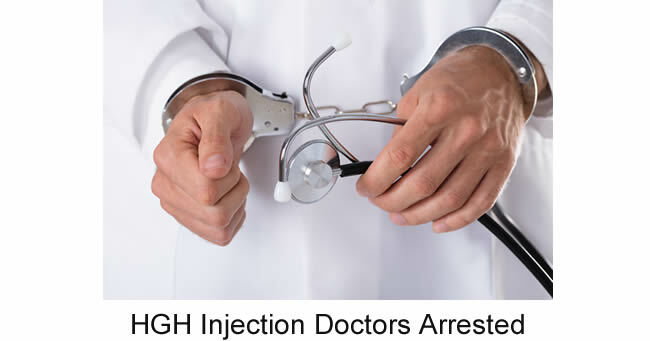 The pharmacists are charged with dispensing prescription-only human growth hormone injections to customers who had ordered HGH injections online without seeing a doctor. Doctors were arrested and some have already plead guilty, with more arrests said to be forthcoming. Federal agents believe these compounding pharmacies paid doctors $25 to $50 per prescription to write prescriptions for online customers which the doctors had never examined. Also, on March 27, 2007, A. J. Peterson, the marketing director for the Oasis Longevity and Rejuvenation clinic in Delray Beach, FL, pleaded guilty to criminal diversion of prescription medications. He admitted in court that he had paid Signature Pharmacy $10,000 in cash for a connection to a physician who would willingly write human growth hormone injection prescriptions for patients that the doctor would never see. More attention has been brought to these raids and ongoing investigations due to the fact that the names of some well-known professional athletes are being found on the lists of customers of the pharmacies and doctors in question. The investigation into "Operation Which Doctor" continues. DA David Soares, of the Albany NY district attorney's office who initiated the "Operation Which Doctor" investigation stated that the guilty plea of Peterson is an important step toward getting convictions against the doctors and pharmacists who have been supplying human growth hormone and steroids to numerous online customers. Investigators have been examining the evidence seized from Signature Pharmacy in order to bring cases against 18 others who have been indicted and numerous other co-conspirators. A. J. Peterson is the second person to plead guilty. Prosecutors say he will be cooperating as they pursue charges against the pharmacy owners and operators. 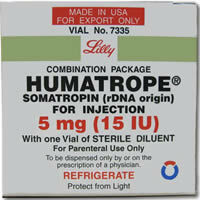 They assert that Signature Pharmacy was one of several pharmacies involved in a human growth hormone and steroid ring. Prosecutors believe that Oasis and other anti-aging clinics solicited clients who were prescribed HGH injections by doctors who never saw them; those prescriptions were then filled by the alleged pharmacies. Claims about only the injections being effective have come from sources such as those I spoke of in the article above, from those who have recently been arrested for selling the injections online. 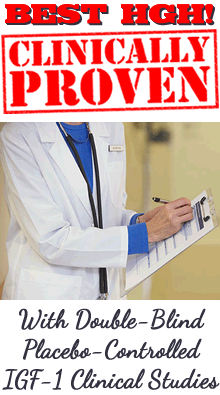 Hopefully, the real truth about human growth hormone therapies will now finally come out. It is true that only the injections can deliver a full hormone replacement amount of human growth hormone, which would be all the patient needs, and for those who cannot make any of their own the injections are the best option. However, most people do not have this problem. Most people have a pituitary gland that can still release growth hormone, and for these people the injections should be the last choice not the first, in my opinion. All non-injection products aim to boost the pituitary gland's own release of HGH, which should be the preference of those who still have a healthy pituitary gland. It has been found that the healthy pituitary gland of an aging person can release more if prompted to do so. Besides helping the pituitary gland to release more of its own homeopathic products also provide a small amount of growth hormone that has already been broken down to its electromagnetic energies by the homeopathic process. I have taken homeopathic HGH myself for many years and we have numerous clients who take our products, including some who have themselves taken the injections in the past. Our current clients already know about the benefits but others may wish to read our many client testimonials and check out our independent randomized double-blind placebo-controlled studies. By Lisa Wells, RN - originally published in 2007.